What could be hard about digital marketing? Or so we think. All you need is a digital device and you can slowly build your presence across all the channels. After all, it’s as easy as using the internet or the social media. Right? We don’t mind business owners being ambitious, but this is the kind of self-assurance that can really deal a lot of damage to your budding brand. Let’s not forget the fact that in the current business landscape, the balance of power has, by and large, shifted in the hands of customers. Marketing is no longer about conveying your message, but also about managing and measuring customers’ response. You need to keep an eye on even the slightest shift in customer behavior and market trends. More importantly, you need to build a flexible strategy that can accommodate those changes. 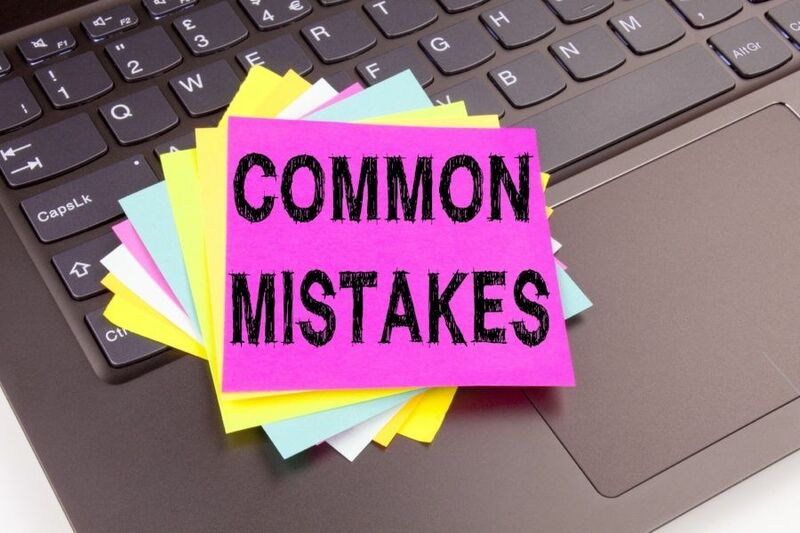 While managing all of that, you need to make sure you are avoiding mistakes altogether. A minor lag can turn out be a huge blunder in the digital world, destroying your brand and business forever. As digital marketing experts, we are here to warn you of four furious mistakes you should avoid at all cost. So, let’s begin the mission! The biggest mistake made by small and medium sized businesses is jumping in the digital market pool without a proper strategy. One of the major strength of digital marketing is the unlimited numbers of channels it offers. Without a strategy, you are going to be all over the place with your messages that simply won’t connect, target, or worse, convert. Create a clear strategy that identifies your market and explicitly defines where you should be focusing your efforts and investment. Which brings us to the next mistake. The reason many businesses fail because they either spend too much or too little on their digital endeavors. While digital market is essential, you need to calculate how much your business can and should afford. Once, your digital marketing budget number, you need to dig a little deeper for channels and platforms that guarantee more engagement and conversion. This is absolutely exclusive to your business. Just because someone else is spending 70 percent of PPC doesn’t mean it is the best way for your business as well. As we discussed earlier, it’s all about the customers these days. Gone are the days when brands could sell their products just by glorifying themselves. That just appears shady and self-obsessed to the smarter customers of the day. Customers want facts and a brand that offering a solution along with value. They want to know you are in not just for the money but to help. Give your brand a caring and creative image. Engage your audience with more relevant messages or ask for their input. DIY everything may sound like a smart strategy when it comes to cost-saving, but as a business in its evolving stages, you have a lot on your plate. Firstly, you need to focus on your core competencies to make sure the promised value is actually delivered to your customers. Secondly, lack of expertise increase the chances of blunders that ultimately cost more than you expected to save in the first place.